A book that will keep you awake at night. 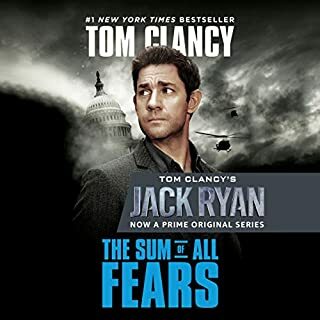 Finally read the book #Audible1 and it lived up to it's reputation. 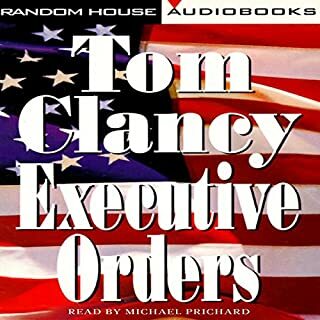 Tom Clancy is a great writer! This is easily one of Clancy's best. 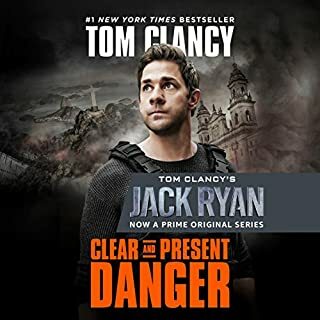 First of his published Jack Ryan novels, this tells a compelling story with flashes of what made Tom Clancy successful. The reading is great with appropriate accents. A great read. Very gripping and insightful, although a novel. I got very tired of the coarse language. Seems to me the author could expand his vocabulary in the area of expletives- I thought of many other words which would have been just as expressive an inoffensive. However I guess some expect men to be unable to express themselves in any other way, which is too bad. We could set the bar higher for our younger generation. My husband was on the Subs and has an excellent vocabulary. He too enjoyed the novel. Growing up during the Cold War this story resonates better in many ways than the movie. Superbly researched and well paced. a great read. 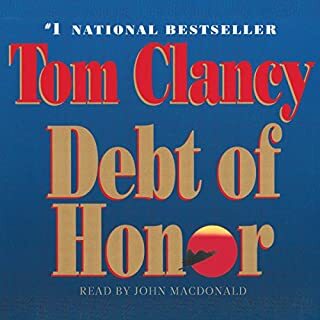 I did not start listening/reading Clancy novels in order so went backwards to this one after several other books - in my opinion it’s not even necessary as each book stands on its own. I found this to be great, especially if you want to watch the movie after - movie cuts a ton out. I feel like the character is not as developed as later books but still very good. I’m also a bigger fan of the Jack Jr books more. Listened during a very long drive, it really helped pass the time. Will download the next one asap. One of the best stories of our time? Loved it. It is a madern classic that gets better with every time through. I highly recommend it. Thank GOD you got a new narrator! 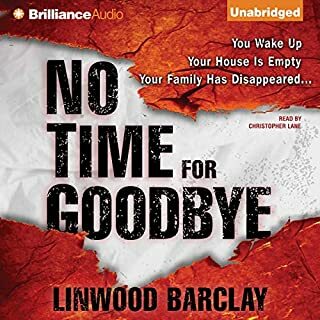 I had the previous release of this audiobook that was narrated by J. Charles, and my god was it horrible. I love this book. 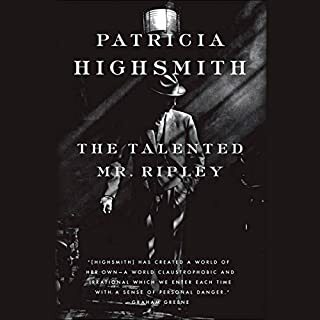 I had it on audio cassette that had excellent narration, but when I went digital this was one of the first books I got from Audible. And I could barely finish it, J. Charels was so bad. His 'Russian' accent sounded like the Count from Sesame Street. 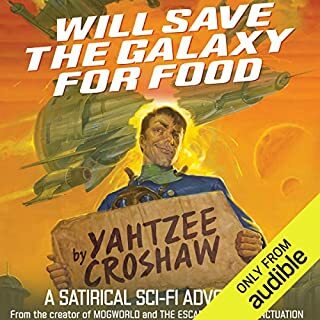 But Scott Brick has done an excellent job on all the books he has narrated, and when I saw he re-narrated this, I jumped at the chance to get it. To everyone who has the older release- get this one instead. It's SO much better! This is my third go through with The Hunt for Red October. 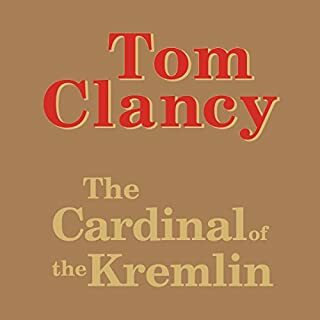 It is a spectacular story, one of the, if not THE best that Tom Clancy has ever written. I read the paper book once and a long time ago I listened to the original audio recording back during the prehistoric days of audiobooks. Scott Brick’s rendition of this book is nothing short of amazing. His voice is literally like chocolate.Initially I was a little disappointed in the fact that Marco Ramius’s voice was not that of Sean Connery, but Brick’s brilliance very quickly overcame that. The combination of a brilliantly written book read by one of the best reader’s out there made this experience incredibly enjoyable. 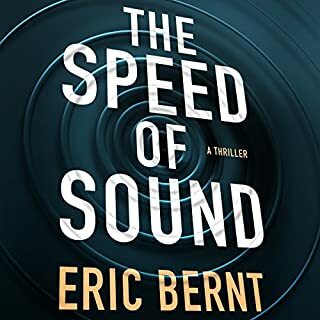 I wholeheartedly recommend this book to anyone... especially someone who is never listened to an audiobook before... as this will certainly hook them. 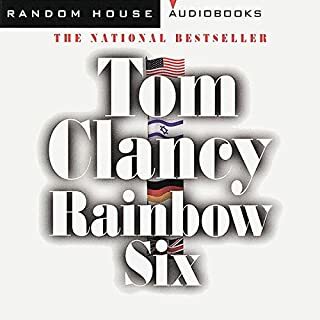 This is the novel that catapulted Tom Clancy to stardom, and it is truly a classic. 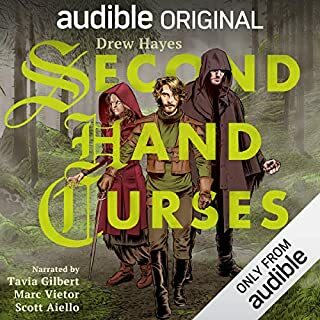 It’s been available on Audible for a while, but in an early, badly narrated rendition. 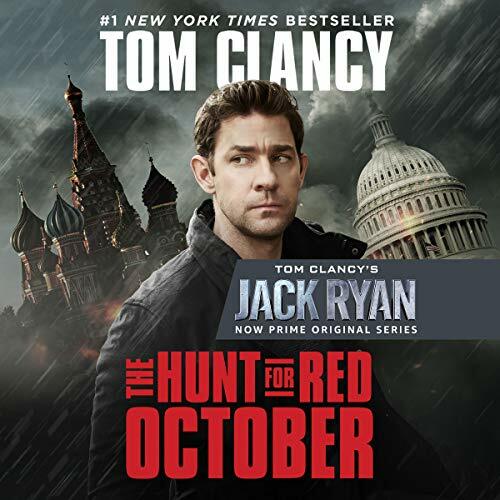 Now Scott Brick has recorded “The Hunt for Red October” to go with the many other Clancy tales he’s narrated, and Brick has done Clancy’s masterwork full justice. 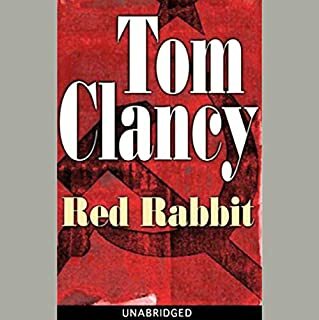 “Red October” is the first-published (and the shortest) of Tom Clancy’s “Ryanverse” novels, although chronologically it comes after “Patriot Games” and “Red Rabbit.” It is a tense and engrossing story, filled with techno speak that seemed oddly clear to me even when I didn’t know what the heck they were talking about, not being up on the inner workings of nuclear submarines and other military paraphernalia Clancy describes--apparently so accurately that when the book first came out some people in Military Intelligence were afraid he’d breached security. 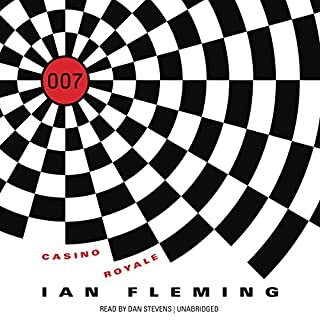 Although the basics of the story are pretty well known (thanks to the Sean Connery/Alec Baldwin movie), the full-blown plot is extremely complicated, with many characters and a lot of similar names. But it’s so well done I got swept up in the story without getting bogged down in the minutiae. In short, it’s extremely well written. 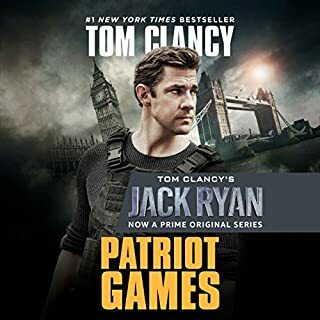 And although the technology was cutting edge in 1984, one of my favorite scenes was our first-ever glimpse of Jack Ryan, working on a military history tome in WordStar, printing out his manuscript on a dot matrix printer, and saving the files to multiple floppy disks. Sadly, I am old enough to remember all three of those relics. 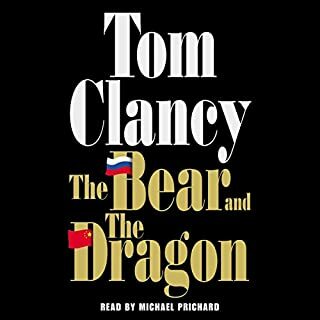 “Red October” is a must-read for anyone open to enjoying a military thriller, and who can overcome any prejudices about (or of course already agrees with) Clancy’s right-wing, hawkish, politics. In case the info is useful, I’m a female who likes romance novels (along with other genres), my politics are center-leaning-left, and I enjoyed the book immensely. You don't have to be a hawk to root for the Americans, and many of the Russian characters--even those who are not defecting to the Wonderful West--are portrayed with dignity, humanity, and surprising depth and understanding. Tom Clancy's finest work read brilliantly! The Hunt for Red October is by far my favorite work of Tom Clancy. The Performance is as excellent as the story. Truly does justice to Mr. Clancy's work. Very enjoyable book. Full of intrigue and tension. I was worried having seen the movie many times would take away from my enjoyment but it had no effect. The storyline is really good but not as much excitement in Scott Brick’s voice as I expected. 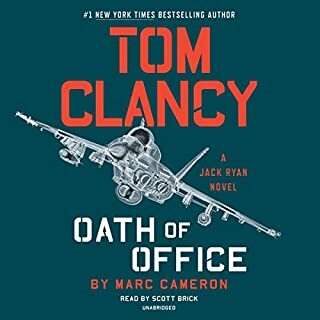 A small gripe I know but all in all a great audio book! This book is such a fantastic read. 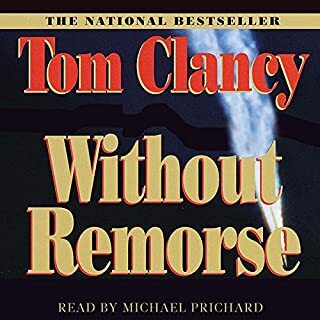 Tom Clancy’s first book will always be a classic. 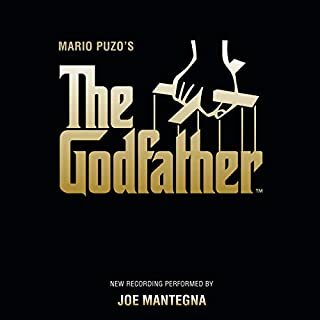 Long book, but the performance of the narrator is well worth it. Makes it feel shorter than it is. After reading this book, the movie seems terrible. I was able to get through it in 3 days. Clancy masterpiece! Instantly compelling, the story captivated me from the first paragraph. This is truly a thrilling masterpiece.